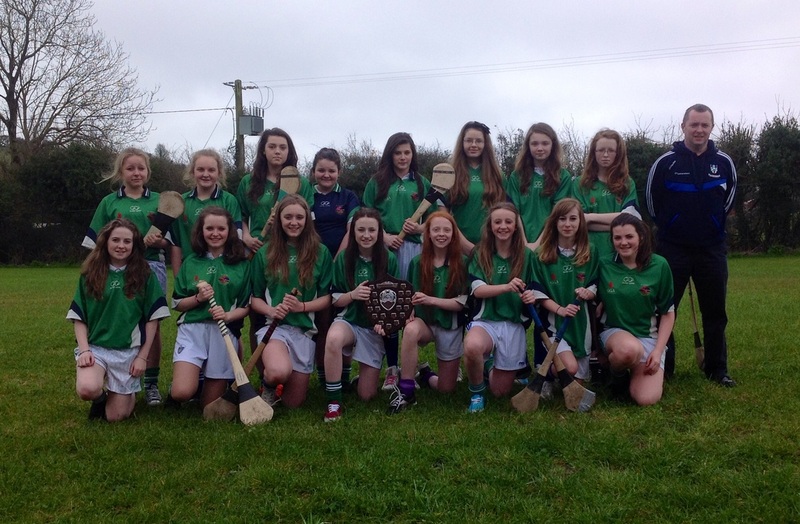 On the 24th of March 2014, St. Aidan’s face Bailieboro in the U-14 Girls Camogie final, on the 3G Pitch, Breffni Park. The team was lined out as follows, Katy Fay in goals, right back Janine Coyle, centre back Megan O’Flynn and Aoife Shalvey in the left back position. The mid-fielders were Megan Shields, Abby Fitzpatrick and Ciara Bannon. Lynn O’Reilly (captain), Emer Fitzpatrick and Ciara McDonald were all on the forward line. After a few minutes into the game St. Aidan’s had a brilliant start by scoring a lovely goal by Megan Shields. Bailieboro fought back by slotting over a point from a free. The sliotar was passed up the field by mid-fielders Megan Shields and Ciara Bannon who dropped it into the square and was whacked into the net by Ciara Bannon. Bailieboro then gained possession made their way back down the field, got it past our defenders and goalie and put it into the net. The half time whistle was blown, St. Aidan’s 2-0, Bailieboro 1-1. After a good pep talk by Mr McQuillan, Aoife McGorry and Louise Fitzpatrick, the girls headed out again onto the field. The next score was a point for Bailieboro. But it didn’t faze the St. Aidan’s girls. Almost immediately the Bailieboro team was put under pressure and soon fouled. Megan Shields popped it over the bar. There was just a few minutes left, Bailieboro then scored another point, after unsuccessfully trying to get it past our defence into the net. Up the sliotar went with great teamwork by Abby Fitzpatrick, Lynn O’Reilly and Ciara McDonald, which resulted in another goal by Emer Fitzpatrick. The final whistle blew St.Aidan’s 3-1, Bailieboro 1-3.